Mettler-Toledo Safeline connectivity solutions enable metal detectors to be fully integrated with data collection devices and factory management systems. Data collected can be made available to key individuals throughout the organization and can be used for management decisions. 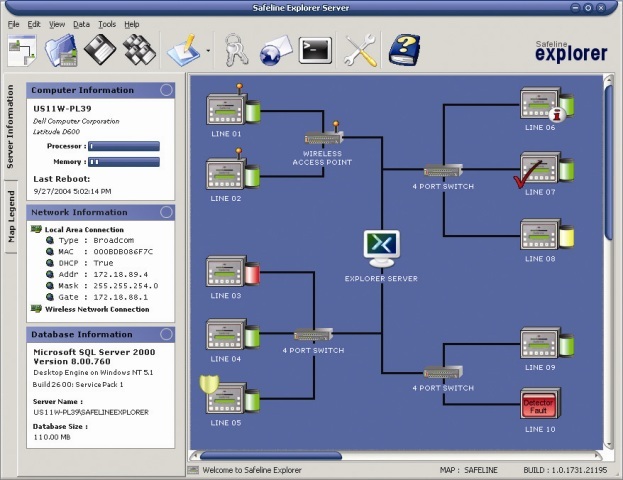 Safeline Explorer software is the ideal metal detector networking solution. All the Safeline metal detectors in a plant – or in multiple plants – can be linked to one central computer for real time operation monitoring and reporting. Explorer can be linked to existing corporate and audit systems.